Hawaii Living – Condo Or Single-Family Home? Did you know that more than 60% of Oahu residents live in condos instead of single-family homes? Last year, 5,824 condos sold versus 3,908 single family homes. Condo living on Oahu is a popular and often more practical lifestyle choice. The long-term trend from 1984 through 2017 shows single-family homes and condos have been appreciating in lock-step, equally well at 4.84% and 4.67% annualized. Some astute buyers are selecting condos instead of single-family homes because Honolulu offers some dazzling luxury condos, an attractive alternative to a limited and sometimes dated inventory of single-family homes. Condo living is no longer considered less desirable. Instead, condo living is modern, hip, and practical. This housing trend is expected to continue. The new lifestyle mantra is: ‘Live, work, and play in town, where you can walk to everything.’ Long commutes are just getting old. Who wants to sit in traffic to go to work, get groceries, or enjoy a movie? A CPR (Condominium Property Regime) refers to a specific type of ownership where you own a ‘condominium unit’ and a percentage of undivided interest in the common and limited common elements of the CPR project. A ‘condo unit’ could either be a detached single-family home, a townhouse, or an apartment style unit above or below another unit. Common elements could be driveways, landscaped grounds, pool, clubhouse or an elevator in a highrise. The land under and adjacent to your unit is either a common element or a limited common element for your exclusive use. The key point with a condo is the land is proportionately owned by all owners in the project. Because Hawaii’s land is limited and expensive, sharing the underlying land with other condo owners allows for the development of housing options that would otherwise not be practical. 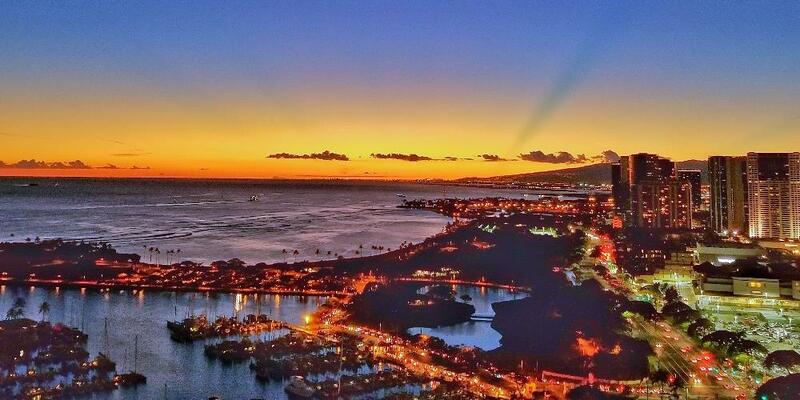 Here is a list of Diamond Head condo developments. I bet you didn’t know some of these are actually condos! In neighborhoods where zoning allows high-density vertical construction, single-family homes make no economic sense. The principal of ‘highest and best use of the land’ suggests the CPR ownership concept is the most feasible approach. Honolulu’s maximum building height limit is 350 ft in Waikiki, and 400 ft in Ala Moana, Kakaako, and downtown. 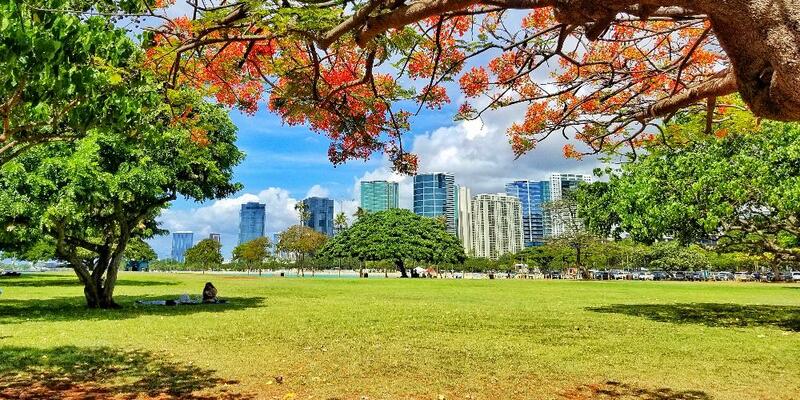 Coincidently, these urban neighborhoods also offer some of Honolulu’s most desirable conveniences, including Hawaii’s largest beach park and Hawaii’s largest shopping center. No wonder Honolulu high-rise condos are hot. Let’s compare condos and homes in regard to space, privacy, maintenance, location, and amenities, to determine what might be the best fit for your lifestyle. Maybe that’s why you wanted a house in the first place? You need space and privacy, which, you think is not available in a condo. Granted, the words ‘condo’ and ‘shared land’ do not evoke a sense of spaciousness. But that does not necessarily mean condos can’t be big or private. Consider Waiea, completed in 2016. The 2- and 3-bedroom condos are between 2,000 and 3,000 sq ft, adequately sized for most. The ocean facing -00 and -01 stack units are serviced by a designated elevator allowing you directly access to your private foyer before entering your unit. If you need more space, you could combine two adjacent units, as one of Kristian’s client has done, with over 5,000 sq ft of dramatic ocean views from every room. If you still need more space and privacy, consider the 10,000 sq ft Waiea GPH 36 with private rooftop pool and no adjacent neighbors, except below. It is like a house in the sky. The ultimate in lifestyle and design, with plenty of space and privacy. Yet, this condo is located in the middle of Honolulu, across from Hawaii’s largest beach park. Are you intrigued? Single-family homes do not require an HOA maintenance fee unless your home is in a private community like Hawaii Loa, Napali Haweo, and a few others. Instead of a maintenance fee, single-family homes require, ..well, maintenance. Owning a house gives you maximum control but the burden of maintaining is on you. That includes re-roofing every 25-30 years, resurfacing the pool every 10-20 years, painting every 10 years or more frequently if your home is close to the ocean, yard work, pool service, security alarm service. In addition to water, sewer, electricity, cable, internet utility bills, you will need to pay for fire, hurricane, and flood insurance. Don’t underestimate the total monthly costs to properly maintain your home. The benefit of full control of your home maintenance decisions comes with the responsibility to schedule workers or do the work yourself. After carefully analyzing maintenance requirements, you will recognize that condo HOA maintenance fees are not so unreasonable. HOA fees typically include the building’s fire, flood, and hurricane insurance, as well as some utilities, e.g. water, sewer, cable, and internet. Honolulu condo maintenance fees typically run between ~$0.60 and ~$1.50 per sqft. Condo fees are mandatory and set by the AOAO. You have less control compared to owning a house, but also less burden because the building and grounds maintenance is done for you. The HOA also maintains the building amenities, an appealing benefit of condo living. “Location, location, location.” My wife and I used to own a gorgeous Koko Villa single-family home in Hawaii Kai. We loved our home but didn’t care for the twice daily 35-minute drive to work. We chose to minimize our commute and right-sized from our 2,000 sq ft home to a 1,112 sq ft 2-bedroom Watermark condo on the edge of Waikiki and the Ala Moana / Kakaako neighborhood. For us, this is the most convenient location in the center of town where we want to be. There is no house available at any price in this location – within walking distance to the largest beach park and the largest shopping center in the state of Hawaii. Condo living is a more practical and better fit for our family lifestyle. Our daughter attends a private school not far from our condo. Most major conveniences are within walking distance. As a result, I drive as little as possible, increasing productivity and family time. I cherish every minute not being stuck in traffic. On Oahu there are more condos than homes representing a large selection of suitable options, especially if you desire to be in town. Are you still thinking you need a single-family home? Whenever a new highrise development is announced, concerned voices complain about traffic, pollution, and sustainable growth. Human psychology manifests itself with an attitude of: “Not in my own backyard. I was here first! How dare they build in my neighborhood and diminish my view.” From an energy efficiency and sustainability viewpoint, high-rise condo development easily beats single-family home urban sprawl development. If you spend more than 30 minutes in your car, twice a day, you know what I mean. 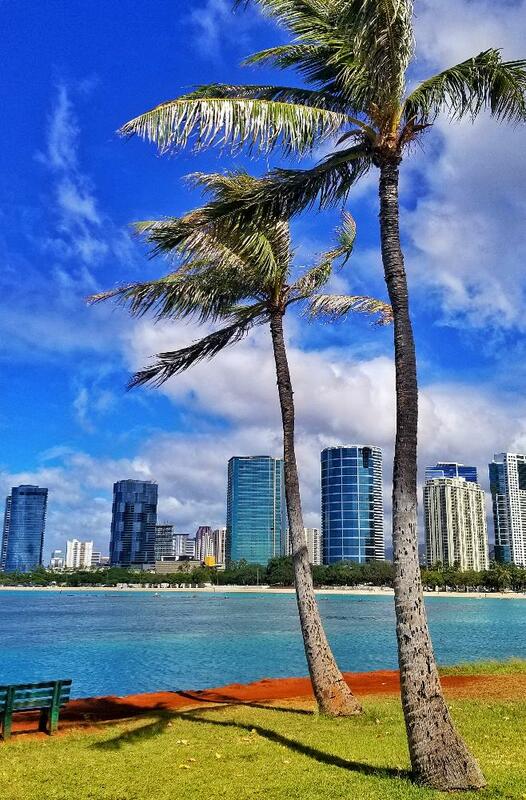 In addition, all new Kakaako condos aim for the prestigious LEED certification, the benchmark for energy efficiency, sustainability and reducing carbon footprint. Granted, you could install a PV system on a single-family home and harvest the power of the sun. However, the cumulative energy savings with in-town condo living add up. Today’s modern, efficient building designs with shared condo resources and amenities make condo living a more practical choice. Modern condos might also be more secure. My wife never felt safe by herself in a large house when I worked long evenings. Our new condo features a 24-hour security guard, secure garage, keyed elevators, and a state of the art camera system. When we travel, we simply turn the water off, lock up and leave without worries. These are conveniences that give us peace of mind and freedom. Condo living suits us well. Living in a condo or a single-family house is a lifestyle choice. Both condos and homes have pros and cons. Practicality and financial feasibility are in the eye of the homeowner. Carefully analyze your lifestyle needs vs. wants and consider all suitable options within your budget and your desired location. You might discover what others already have: Honolulu condo living offers some unique advantages worth considering. – Either way, we are here to help.